Platelets are anucleate components of the blood, which are derived from megakaryocytes in the bone marrow. Platelets are necessary for hemostasis, a process which causes bleeding to stop, and play an important role in wound healing. Regulating hemostasis is crucial to avoid excessive blood loss or clotting. In addition to hemostasis, platelets are active players in many steps of tumorigenesis including tumor growth, extravasation of tumor cells, and metastasis. The concept of platelet involvement in tumor growth and metastasis is old. In the 1860s, Armand Trousseau and Leopold Riess were the first ones to describe an association between thrombosis and cancer. About 100 years later, Gabriel Gasic provided the first biological evidence of decreased metastasis after reducing blood platelet counts in mice. In a retrospective study, almost 40% of ~ 140,000 patients with thrombocytosis (i.e. > 400.000 platelets per µl of blood), had an occult malignancy, mainly of the stomach, pancreas, ovary, colon, and lung — suggesting that an increased blood platelet count could serve as a biomarker or predictor of cancer. At the molecular level, thrombocytosis can result from IL-6 secretion by tumor cells that stimulate the production of thrombopoietin in the liver and enhances the production and differentiation of megakaryocytes in the bone marrow, thereby increasing platelet counts in the peripheral blood. 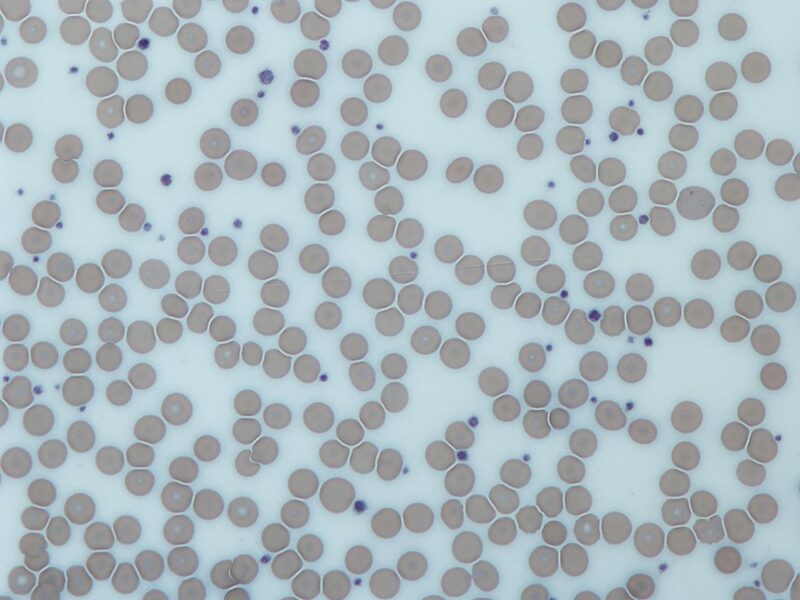 Cancer patients with thrombocytosis tend to have a significantly worse overall and progression-free survival, and this is only partly due to an increased risk of thromboembolic complications in these patients. Using multiple in vitro and in vivo experiments, we showed that platelets increased proliferation of cancer cells inside tumors and just a moderate reduction in platelet counts reduced tumor size by more than 50% in murine models of ovarian cancer. We also found that platelets promoted tumor growth after withdrawal of anti-angiogenic therapy with bevacizumab (humanized monoclonal antibody directed against vascular endothelial growth factor (VEGF- A). Anti-angiogenic therapy was developed based on Judah Folkman’s discovery that tumor growth is dependent on neovascularization, the formation of new blood vessels. However, treatment with bevacizumab or other inhibitors targeting the VEGF receptors showed only modest improvement in patient survival. Interestingly, positive effects on progression-free survival coincided only with duration of anti-angiogenic treatment and progression-free survival curves collapsed soon after cessation of therapy. We found that platelets were critical for rebound of tumor growth after withdrawal of antiangiogenic therapy and this effect could be blocked by reducing blood platelet counts. Our results, published in The Journal of Clinical Investigation, revealed that platelets actively infiltrated into the tumor microenvironment where they came in direct contact with cancer cells to increase their proliferation and reduce their apoptosis rates. Platelet infiltration was regulated by focal adhesion kinase (FAK) in platelets, suggesting that dual targeting of FAK and VEGF could have therapeutic implications for cancer management. Despite being important for primary tumor growth, we additionally demonstrated that platelets increased anoikis resistance of cancer cells. Anoikis is a form of apoptotic cell death that occurs after cells detach from their surrounding microenvironment and resistance to anoikis is a prerequisite for metastasis because it helps tumor cells to survive in the bloodstream. In a study, published in Nature Communications, we investigated signaling pathways responsible for platelet-induced anoikis resistance in cancer cells and identified the oncogene YAP1 as the most important regulator of thrombocytosis-enhanced metastasis in murine models of ovarian and colorectal cancer. Specifically, we found that platelets induced YAP dephosphorylation via the PP1-MYPT1 phosphatase and nuclear translocation leading to interaction with the TEAD transcription factor family and transcription of genes responsible for proliferation, migration, and invasion of cancer cells. Therefore, targeting YAP1 or cellular protein phosphatases in cancer could be an avenue to hamper metastasis. Targeting platelets in cancer therapy either by reducing platelet blood counts or functions or by interfering with platelet-tumor cell interactions can offer unique opportunities for improving cancer patient outcomes. Such approaches would ideally avoid impacting the physiological roles of platelets in hemostasis. Therefore, deepening our understanding of how platelets exit tumor blood vessels, come in contact with tumor cells, and alter tumor cell behavior, as well as bioinformatics approaches that take into account both beneficial and negative platelet effects, are essential to improve platelet-targeting interventions in cancer patients. These findings are described in the article entitled The Platelet Lifeline to Cancer: Challenges and Opportunities, recently published in the journal Cancer Cell. This work was conducted by Monika Haemmerle from the University of Texas MD Anderson Cancer Center and Martin Luther University Halle-Wittenberg, Rebecca L. Stone from Johns Hopkins Hospital, and David G. Menter, Vahid Afshar-Kharghan, and Anil K. Sood from the University of Texas MD Anderson Cancer Center. Monica is a postdoctoral research fellow at the MD Anderson Cancer Center at the University of Texas. Vahid is a professor in the Department of Pulmonary Medicine, Division of Internal Medicine, at the The University of Texas MD Anderson Cancer Center. Dr. Anil K. Sood is Professor and Vice Chair for Translational Research in the Departments of Gynecologic Oncology and Cancer Biology and co-director of the Center for RNA Interference and Non-Coding RNA at the MD Anderson Cancer Center. He is also Director of the multi-disciplinary Blanton-Davis Ovarian Cancer Research Program. Dr. Sood co-leads the Ovarian Cancer Moon Shot Program. Dr. Sood received his medical degree from the University of North Carolina, Chapel Hill, North Carolina. His research is focused in three main areas: 1) mechanisms of angiogenesis and metastasis in ovarian cancer; 2) effects of neuroendocrine stress hormones on ovarian cancer growth and progression, 3) development of new strategies for systemic in vivo siRNA delivery. Dr. Sood has received major recognition for his research accomplishments including the Hunter Award, the Margaret Greenfield/Carmel Cohen Excellence in Ovarian Cancer Research Prize, and the GCF/Claudia Cohen Research Foundation Prize for Outstanding Gynecologic Cancer Researcher. He is an elected member of the American Society for Clinical Investigation (ASCI), the American Association for the Advancement of Science (AAAS), and the Association of American Physicians (AAP). He was appointed as an American Cancer Society Professor in 2017.